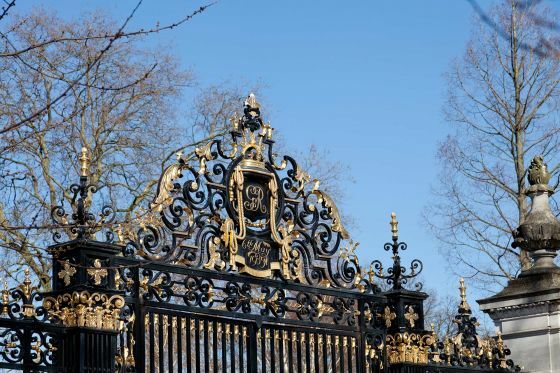 The Jubilee Gates are grand iron and gilded semi-circular gates that were installed to mark the Silver Jubilee of King George V and the official opening of Queen Mary's Gardens in 1935. 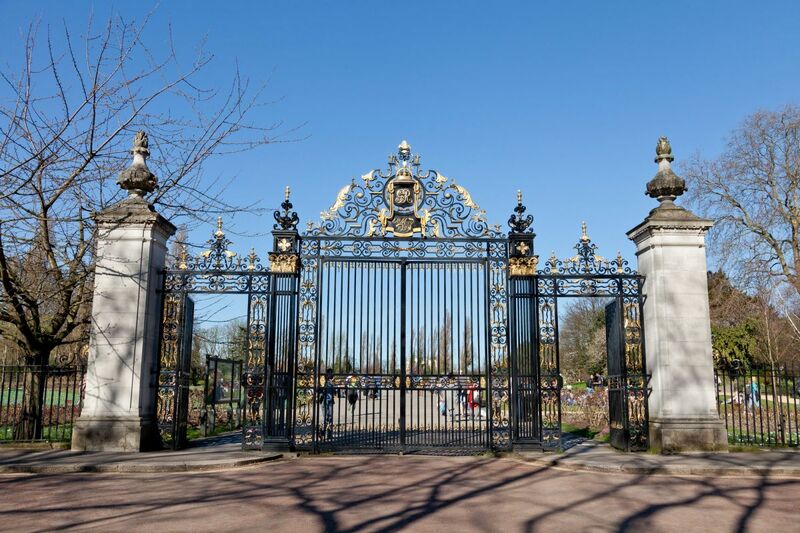 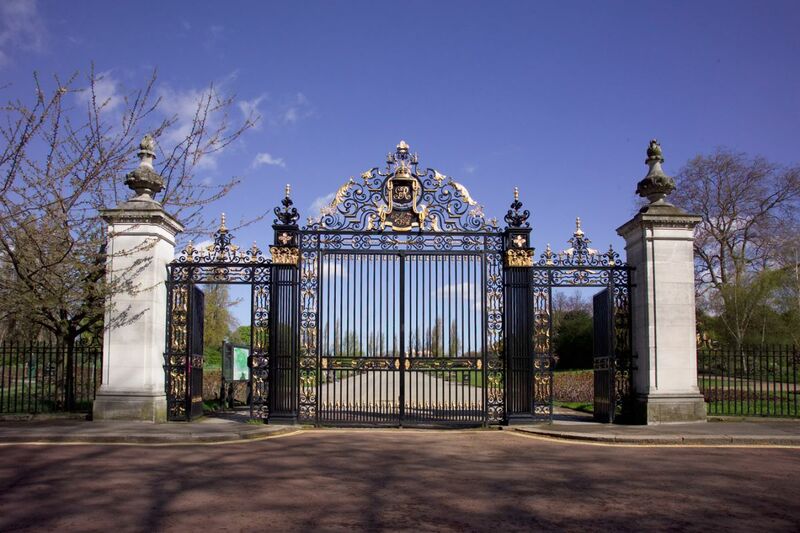 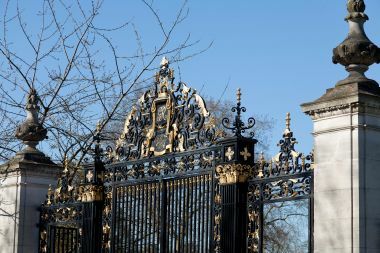 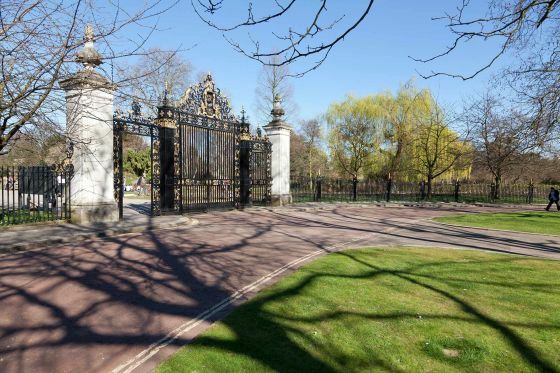 Located near York Bridge off the Inner Circle, The Jubilee Gates act as the main entrance to Queen Mary's Gardens. The gates, which are Grade II listed, were donated by Sigimund Goetze, a wealthy and successful artist who lived in Grove House (now Nuffield House) on the northern perimeter of the park from 1909 to 1939.